1:09: When you hear the terminology, chronic fatigue syndrome, you know that’s not a diagnosis. That’s a description of the problem. 1:21: If a person has chronic fatigue syndrome, there’s a cause for the chronic fatigue syndrome. It could be caused by chronic infections, Epstein-Barr virus. It could be caused by Lyme disease but, more commonly, there are two main things that cause a person to have chronic fatigue. 1:46: One of the most common complaints we have is the decline in their overall energy level. They feel fatigued, and they feel tired. 3:48: Chronic fatigue syndrome is simply a label that a doctor puts on somebody who has been tired and fatigued for over six months, and they don’t have refreshing sleep, they have joint and muscle aches and pains, they hurt all over, and they don’t think well. 4:33: A person’s blood test does not tell you a person’s symptoms and how they feel. 6:34: Folks, my belief is this. If anybody has the signs and symptoms of low thyroid, which chronic fatigue syndrome has many of the signs and symptoms of low thyroid, you deserve a therapeutic trial of natural desiccated thyroid to see how you do. You take it. If you get better as we increase the dose, that solves the problem. 6:56: We also check to see if you have antibodies to your thyroid gland, which is autoimmune thyroiditis, which few doctors check for because the insurance doesn’t pay for it. We always check for that. 7:17: The long and the short of it is, don’t let somebody slap a diagnosis of chronic fatigue syndrome on you and throw you on antidepressants. That will ruin your life. I promise you. It’s not going to make you better. Nobody’s sick because they have low levels of antidepressants or pharmaceutical drugs in their body. You have to get at the underlying problem and, commonly, the underlying problem is low thyroid. 7:56: Sometimes, the adrenal gland, due to chronic stress, chronic pain, and chronic infections can cause the adrenal glands to become fatigued and they don’t produce the natural hormone, cortisol, which can adversely affect the ability to utilize thyroid hormones. They tend to run hand-in-hand, adrenal fatigue and low thyroid situations. Stacey: Welcome to Dr. Hotze’s Wellness Revolution. I’m Stacey Bandfield here with Dr. Steven Hotze, founder of the Hotze Health & Wellness Center and, if you have not gone to Hotzepodcast.com, then you need to do that, and download all of our podcasts. That’s Hotzepodcast.com because, of course, everybody needs a health coach. Now, topic for this show. Oh, my goodness! Feeling so tired, feeling tired all the time, what could it possibly be? 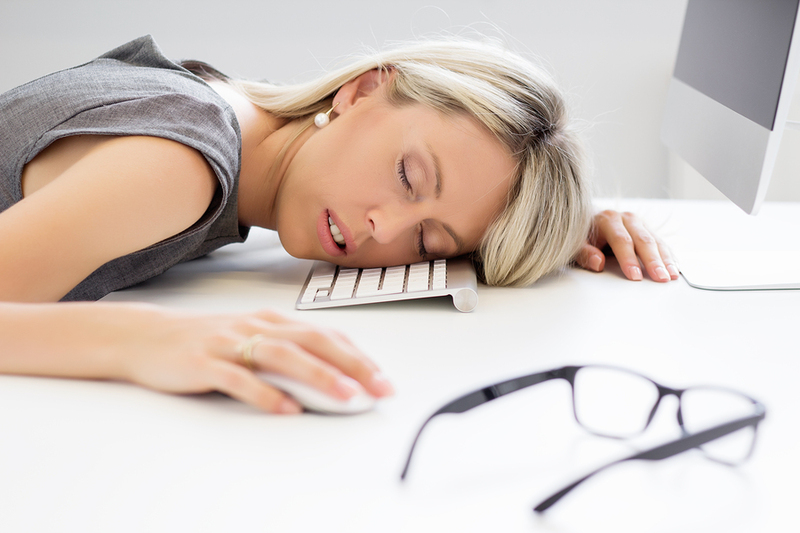 Could it be chronic fatigue? A lot of people are diagnosed with that these days. It’s a popular term. Dr. Hotze, maybe you could explain a little bit more about chronic fatigue syndrome. Dr. Hotze: Obviously, when you hear the terminology, chronic fatigue syndrome, if you have a lick of sense, you know that’s not a diagnosis. That’s a description of the problem. If a person has chronic fatigue syndrome, there’s a cause for the chronic fatigue syndrome. It could be caused by chronic infections, Epstein-Barr virus. It could be caused by Lyme disease but, more commonly, there are two main things that cause a person to have chronic fatigue. It’s a common complaint we see here at the Hotze Health & Wellness Center when our guests come in. One of the most common complaints we have is the decline in their overall energy level. They feel fatigued, and they feel tired. I always like to ask people to rate their energy level on a scale of 0-10, 10 being brimming with energy, best you ever felt, 0 no energy. I like people to rate themselves. They’re like, “Well, I’m just a 5,” or, “I’m a 6,” or, “I’m a 4.” We want people to be at a 10. Everybody should be operating at full energy. You ought to be full of energy, brimming with energy, enthusiastic, optimistic, and have vim and vigor, just ready to get up out of the bed and get things done during the day. You shouldn’t be collapsing in the afternoon tired, and you shouldn’t collapse when you go home. You ought to have plenty of energy. That has to do with energy production within the cells of your body. That’s important. They have to have chronic debilitating fatigue that has occurred for over six months. They have joint and muscle aches and pains. They get swelling and redness in their joints. They may have recurrent headaches. They have recurrent sore throats. They have tenderness in their lymph nodes in their neck. Four out of eight of these symptoms lasting six months or more meets the criteria for the Center for Disease Control, a government agency, to say a person has chronic fatigue syndrome. It still doesn’t give them a diagnosis so, if they cluster four symptoms together and say, “If you have these four symptoms, we’re going to call it chronic fatigue syndrome, but all it is is a cluster of four symptoms. It doesn’t try to recognize or obtain the underlying cause of the problem. Chronic fatigue syndrome is simply a label that a doctor puts on somebody who has been tired and fatigued for over six months, and they don’t have refreshing sleep, they have joint and muscle aches and pains, they hurt all over, and they don’t think well. What does that sound like? What classical problem does that sound like? Dr. Hotze: Hypothyroidism. It’s the classical features of low thyroid. “Oh, but they don’t have low thyroid,” the conventional doctor says because he did a blood test, and the blood test falls within the normal range, as do 95% of all the thyroid blood tests always fall in the normal range because that’s how the lab defines what’s normal, wherever 95% of the people fall. A person’s blood test does not tell you a person’s symptoms and how they feel. Oh, but the doctors say if you fall within the range, well you’ve got now chronic fatigue syndrome. It’s not due to thyroid. We don’t know what’s causing it, but we know how to treat it, and they give you…what do they give you? An antidepressant. They’ll give you Lyrica. They’ll give you some other, Cymbalta or some other antidepressant as if the reason you have chronic fatigue syndrome is you’re low in some pharmaceutical drug, which is crazy. One is fatigue. You’re tired. You don’t have the energy you used to have. You fade in the afternoon. You go to sleep. You don’t feel rested in the morning. You’re tired all the time. You have maybe difficulty with weight. That’s a very common problem we see in people that are hypothyroid. Inability to focus and think clearly. Low body temperature, cold hands, and cold feet. Inability to really sleep well. They get insomnia. They get joint and muscle aches and pains. They don’t heal up well after they have an injury or a cut. They have stomach disorders. Commonly, it would be constipation, but it could be, if they’ve had a lot of antibiotics due to a lot of infections because they have an altered immune system now because the immune system can’t produce enough energy, well, they may yeast problems, they have bloating, belching, and gas that could easily be a problem. Women will have irregular menstrual cycles. Oftentimes, they’ll have problems with fertility or carrying a baby to full term. They get bloating, belching, and gas, of course intestinally, but they also get bloating in their face and their skin. Their tissues swell. They get a pasty look. Loss of the lateral third of the eyebrows. Generally, these people just don’t fell well, so they go to the doctor. They have all these problems. The doctor goes, “Well, I guess you have chronic fatigue syndrome. We’re going to put you on something, antidepressants.” Folks, my belief is this. If anybody has the signs and symptoms of low thyroid, which chronic fatigue syndrome has many of the signs and symptoms of low thyroid, you deserve a therapeutic trial of natural desiccated thyroid to see how you do. You take it. If you get better as we increase the dose, that solves the problem. We also check to see if you have antibodies to your thyroid gland, which is autoimmune thyroiditis, which few doctors check for because the insurance doesn’t pay for it. We always check for that. We have in the last 31,000 guests that we’ve had at the Hotze Health & Wellness Center. We always check to see if they have an inflammatory process, if they’re making antibodies through their thyroid gland. The long and the short of it is, don’t let somebody slap a diagnosis of chronic fatigue syndrome on you and throw you on antidepressants. That will ruin your life. I promise you. It’s not going to make you better. Nobody’s sick because they have low levels of antidepressants or pharmaceutical drugs in their body. You have to get at the underlying problem and, commonly, the underlying problem is low thyroid. It could also be adrenal fatigue. They go hand in hand. When a person’s under chronic stress, they can stress out the adrenal glands, which sit on top of your kidneys, about the size of a walnut, and produce adrenaline and cortisol, our fast-acting and long-acting stress hormones. Sometimes, the adrenal gland, due to chronic stress, chronic pain, and chronic infections can cause the adrenal glands to become fatigued and they don’t produce the natural hormone, cortisol, which can adversely affect the ability to utilize thyroid hormones. They tend to run hand-in-hand, adrenal fatigue and low thyroid situations. They can be easily corrected naturally. My recommendation to you, if you have these symptoms, just give us a call. Get a health coach. Get somebody that’s going to coach you on a path of health and wellness naturally. Stacey: Absolutely. Just a really short story to add onto that, I remember years ago, I was sitting in on a board meeting, and one woman had to leave, just in the middle of the board meeting. It was, “What’s going on? What’s wrong with her?” Someone said, “Oh, she has chronic fatigue syndrome.” I was kind of like, “Oh,” like this is a very serious diagnosis. There’s something about calling something a diagnosis that there’s no room for conversation after that. It’s like, “Oh, this is just what you have.” Well, that’s not what you have. It’s like Dr. Hotze said, you have symptoms. That is not a diagnosis, and there is a natural way to be treated, so just give us a call. Everyone needs a health coach. 281-698-8698. That’s 281-698-8698. Thank you for joining us today here at Dr. Hotze’s Wellness Revolution. The primary symptoms of Chronic Fatigue Syndrome (now called ME/CFS in the United States) are profound loss of function and a worsening of symptoms following exertion (called “post exertional malaise”). ME/CFS is not diagnosed after 6 months of unexplained fatigue. Please read up on the current diagnostic criteria. The CDC website is a good start. Can you please tell me what Dr.Hotze sells over the counter for hypothyroidism ? The last time I called Dr. Hotze’s office I was told that a visit would cost between 5-8 thousand dollars. That’s a bit much for me. I am a nurse working in Austin Tx and I stay exhausted.I am 49 years old and have gone through menopause. I need something to wake up my brain and my body ! Thankyou,Debbie Cornwell.